Motorola XOOM is now headed towards India. Reports suggest that the Motorola XOOM will make its way towards the country by the end of this month. 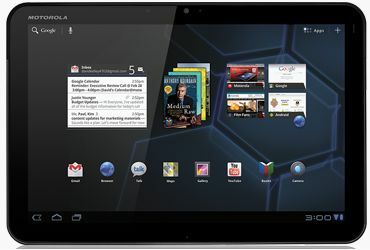 The Motorola XOOM tablet was originally launched this February in the United States as the first ever Honeycomb device. Honeycomb is a version of the Android operating system by Google, specially optimized for tablets. The Motorola XOOM features a 10.1" display with pixel dimensions of 800x1280 pixels, and it comes along with a 5 MP rear camera capable of recording 720p and a 2 MP front facing camera for video calling. It is powered by a 1 GHz dual core NVIDIA Tegra 2 and there's 1 GB of RAM on board to complement it to aptly take care of the tablet's performance aspect. There are quite a few connection options too with an HDMI port and a microSD card slot. The tablet will be available in 16 GB and 32 GB variants.